Reviewed from copy provided on ISSUU by publisher. A story of toil and triumph—inspired by Charles Lindbergh’s solo flight! These are dark times . . . for a small mouse. A new invention—the mechanical mousetrap—has caused all of the mice but one to flee to America, the land of the free. But with cats guarding the steamships, trans-Atlantic crossings are no longer safe. In the bleakest of places . . . the one remaining mouse has a brilliant idea. He must learn to fly! Torben Kuhlmann’s stunning illustrations will capture the imagination of readers young and old with the death-defying feats of this courageous and persistent young mouse. 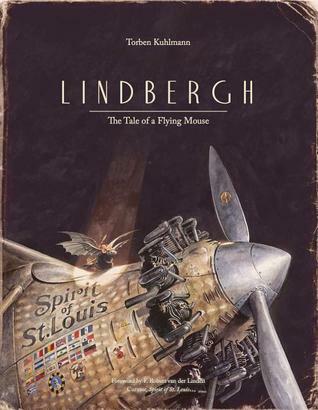 Lindbergh is the inspiring story of a mouse determined to reunite with his fellow mice in America. After the advent of mouse traps, the mouse finds that the other mice have all fled. After trying to board a ship and finding cats lurking all over the place, the mouse is inspired to build a place after seeing a bat. After much effort and trial and error he succeeds and sets off on a journey like no other. While the writing is good, it's the artwork that steals the show here. The artist uses subtle shades of brown and gray to convey the time period and the shadowy world of the mouse while providing an awesome amount of detail. The full page illustrations that have no words are especially awe-inspiring as they convey the point the author is trying to make without the need for words. The saying, "pictures are worth a thousand words" really has a lot of meaning here. I highly recommend this book, what a beauty! Welcome to my blog post celebrating multicultural children's literature. I've read many great books in this genre due to my love of geography and learning about other cultures. 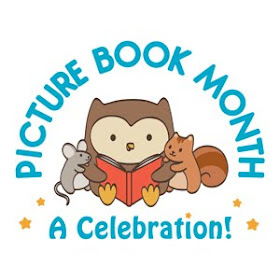 Unfortunately it's an area of children's literature that still lags behind other genres, which is why this celebration was created, to bring attention to the issue and encourage readers of all kinds to read more of this kind of book. Special thanks to Lee & Low for my review book! Please enjoy looking around and I hope you join us in this celebration! For more information about this event, check out the webpage here. Jin, a young boy who suffers from dyspraxia (clumsy child syndrome) must face a truly terrifying monster after his baby brother inadvertently sets it loose after a 20-year imprisonment. But what can he do against a creature with increasingly dangerous abilities that continue to develop. With the help of Mizz Z, a chief inspector of ancient artifacts of power, and his sister, Frankie, Jin must find a way to get the monster back in her ball of mud or face losing their little brother forever. 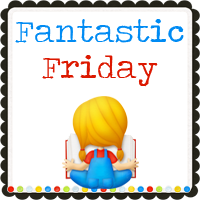 The Monster in the Mudball provides quite an entertaining read for middle graders or anyone who enjoys a good monster story. Zilombo, the monster, is a creepy and dangerous antagonist, but Jin, Frankie, and Mizz Z are pretty awesome protagonists and Smiler (the baby) provides plenty of exasperating humor. What I especially liked though were the cultural elements sprinkled through the story that play a rather critical role in what happens. Jin's Chinese grandparents make Chinese dragons for a living which I found fascinating as well as the idea of dragon dancing. I never really thought before about the fact that operating one of those big dragons is much more of an art than a science. Overall, a great multicultural fantasy that I truly enjoyed and can recommend. Wisdom Tales Press is a children’s book imprint of World Wisdom for the purpose of sharing the wisdom and beauty of cultures around the world with young readers and their families. Visit Wisdom Tales Books. One of the most admired and respected publishing companies in the U.S., Chronicle Books was founded in 1967 and over the years has developed a reputation for award-winning, innovative books. Recognized as one of the 50 best small companies to work for in the U.S. (and the only independent publisher to receive this award), the company continues to challenge conventional publishing wisdom, setting trends in both subject and format, maintaining a list that includes illustrated titles in design, art, architecture, photography, food, lifestyle and pop culture, as well as much-admired books for children and ancillary products through its gift division. Chronicle Books’ objective is to create and distribute exceptional publishing that’s instantly recognizable for its spirit, creativity, and value. For more information about Chronicle Books, visit www.chroniclekids.com. Susan Daniel Fayad, author of My Grandfather’s Masbaha was written as a tribute to her father to honor him in the eyes of her children. Fayad wrote the book to highlight Lebanese culture while emphasizing a universal theme of appreciation and counting your blessings. You can connect with Susan on Twitter (@grandadmasbaha ) or Facebook. Support our MCCBD Review Bloggers! 60+ wonderful bloggers stepped forward and agreed to review multicultural children’s books for our special event. Please take a moment to visit these bloggers, read their reviews and say “thank you” for spotlight all of the amazing books, authors and publishers. CONTENT NOTE: Moderate amount of bad language and one sexual related situation. As this wonderful blog is called GEO Librarian, and as I’ve been asked to produce a “top ten” list, and as my book The Scar Boys includes a significant road trip, I thought it might make sense to think back through the best road trips of my own life. 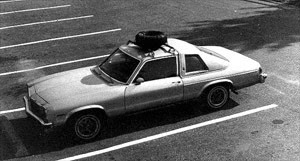 Before getting to the list, I should define my idea of a “road trip.” It (a) is done entirely by car—not planes or trains, only automobiles; (b) must include at least one overnight stay; (c) requires eating fast food, and more likely, only fast food; and (d) features at least one woodsy bathroom break. Now that we’re clear, here are my top ten road trips. When I was six years old (1971) my parents, brother, sister, and I took three weeks to drive to California and back. We hit all the sights—Grand Canyon, Badlands, St. Louis Arch, Mt. Rushmore, Yellowstone. The trip was done in a Plymouth sedan with all three kids in the back. In those days, little guys didn’t sit in car seats, nor did we—or anyone—wear seatbelts. Somehow, we survived. When we found a stray dog at a rest stop in Texas, my dad threw his back out trying to coax the dog into our car. (The intent was to bring him to a shelter, which we did.) This incident would serve as inspiration for a scene in The Scar Boys. You might think a trip of this significance would be higher on the list than #10, but I was just too young to really remember it in any vivid detail. Sometime in the mid 1990s, two carloads of friends took a ski trip to Sugarloaf in Maine. This trip sticks in memory for two reasons. First, we drove in blizzard conditions. I had to keep stopping my car to brush off the headlights because the snow was coming down so fast that the lights were getting completely covered. What should have been a nine-hour drive turned out to be twelve, six of them white knuckle driving. Second, the temperature at the base of Sugarloaf was five degrees Farenheit. With the wind, the peak of the mountain—I don’t know the actual temp—was the coldest weather I had ever (or have ever) experienced. In college (NYU), my two roommates—Chad (who would figure in two more trips on this list) and Steve—and I decided that we needed to have breakfast in Boston. This was at ten o’clock at night. It was one of the most spontaneous things I’ve ever done. We got hold of a car, drove three hours, and crashed my friend Rob’s dorm room at BU in the middle of the night. (This was long before smart phones, so poor Rob had no warning.) We had breakfast and drove home. 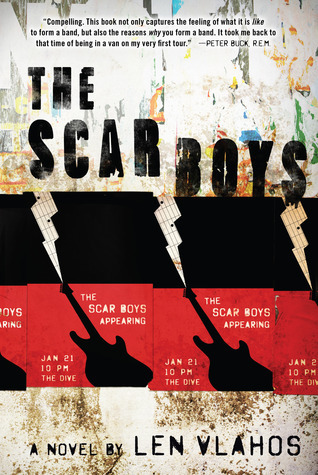 The backdrop for The Scar Boys is loosely based on my experience playing in a band called Woofing Cookies. (See below for details.) 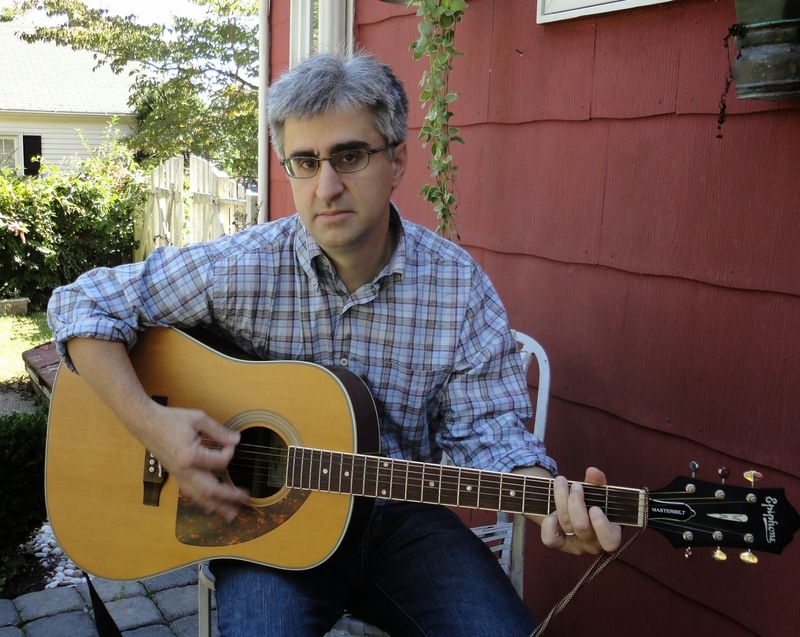 Sometime after the Cookies broke up, I got a call from the college radio station at William and Mary in Williamsburg, VA. It seemed that there had been a raging debate as to whether the format of the station (WCWM) should be alt rock or top forty. For some reason, Woofing Cookies had become the symbol of the dispute on both sides, the alt rockers embracing us and everyone else holding us up as an example of what was wrong with alt rock. Scotty, a fellow Cookie, and I drove to William and Mary and did a three-hour radio interview, playing acoustic tunes throughout. We crashed in a house full of college co-eds. (No, it wasn’t like that. They were super nice and very hospitable.) It was a magical weekend. 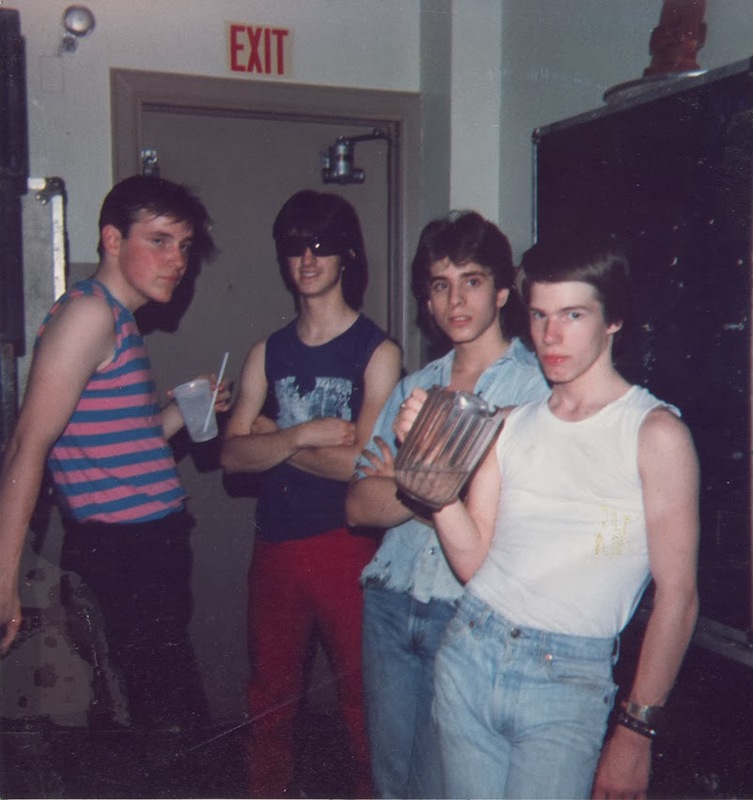 After the band broke up, I was living in Atlantic City, working as the overnight on-air personality (DJ) at a commercial radio station. A couple of friends from college—Scott (different from Scotty) and Ed—called to see if I wanted to go with them to the Preakness in Baltimore, and by the way, could I drive? They took a bus to Atlantic City and met me at the end of my radio shift; away we went. I stayed up for forty straight hours, finally crashing on the floor of some stranger’s apartment in DC. The next day was spent on the manic infield at Pimlico Racetrack. I picked the winner in the big race, Risen Star. That was a bad thing, as it got me hooked on horse racing! Just this past Thanksgiving, Kristen—my wife and partner in all crimes and misdemeanors—and I drove to Florida with our five- and three-year-old sons, Charlie and Luke. We spent anywhere from six to twelve hours a day on the road. It was at times a grueling slog, and at other times an incredibly journey. The highlight was the Kennedy Space Center. Charlie bagged a real-life astronaut uniform and didn’t take it off for three days. 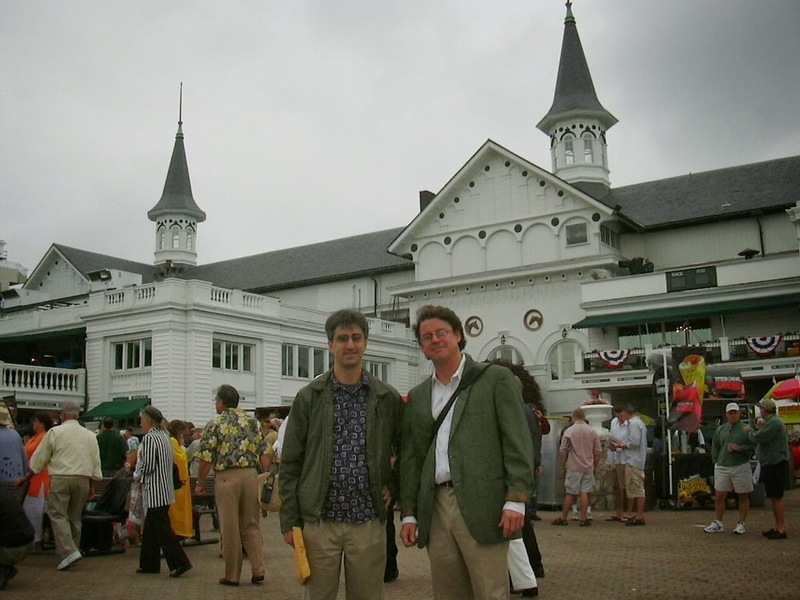 Several years after the Preakness (seven to be exact) Scott and I had become very close friends, and had become serious horseplayers. We decided it was time to make a pilgrimage to the Mecca of horse racing, Churchill Downs and the Kentucky Derby. As luck would have it, the Derby that year fell on my thirtieth birthday. For the trip, we made placards with the name of each Derby entrant, and asked everyone we met en route if they had a favorite in the race. If the person could name a horse, we snapped a photo of said person holding the placard of said horse. The highlight of the trip was when Scott got the entire grandstand (we had long since outgrown the infield) to sing me Happy Birthday. Woofing Cookies initially broke up when Chad and I enrolled in NYU Film School. But the lure of music is powerful, and we were drawn back to the Cookies at the end of freshman year. We had such fun playing together that we decided to book a short tour that summer. Our geographically challenged trip took us through Ohio, Pennsylvania, and Georgia. In 2004, a work colleague and I were in Florida for a meeting of the American Booksellers Association Board of Directors. We were both on the staff of ABA, and unbeknownst to everyone else, had quietly started dating. The colleague, who we will call Kristen (because that’s her name) had been in the market for a used Toyota 4Runner, and happened to find one in Ft. Lauderdale. When asked if I would help her drive the car back home to New York, I jumped at the chance. One thing missing from that article—this is the trip when I fell head over heels in love with Kristen. We married a few years later. This, our second tour, was cursed from the word go. Our van broke down not once, not twice, but three times. The second of those breakdowns was catastrophic, as it stranded us in Georgia, requiring us to cancel the remaining twenty tour dates. We were supposed to go coast to coast and back, but never made it off the Eastern seaboard. 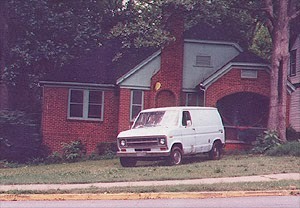 We wound up taking fast food jobs and living in Georgia (see photo) for nearly four months before finally raiding Chad’s college fund to get the van fixed and head home. To add insult to injury, the van broke down again on the way back to New York, though this time we were able to fix it and continue. * We met Peter Buck of R.E.M., who was nice enough to produce a song for us. * That song got us signed to a small garage label in NYC, allowing us to record our one and only album, Horse Gum Tortilla Shoes. * We had nutty fun and wild experiences in Georgia and elsewhere in the South, and made wonderful friends along the way. * I tried for years to tell the story of that experience, finally turning it into the manuscript that became The Scar Boys. How could it NOT be number one? So . . . what’s your best road trip memory? When you're a mama penguin with lots (and lots) of little ones to take care of, the days can melt together in a blur. Monday: swimming lessons. Tuesday: sliding. Wednesday: waddling. And on and on. Mama loves her babies so much. Do they know, she wonders, just how much? As it turns out, they do--because they love her just as much! And to show it, they surprise her with a thoughtful gesture of their own on Sunday. In her companion to Baby Penguins Everywhere! 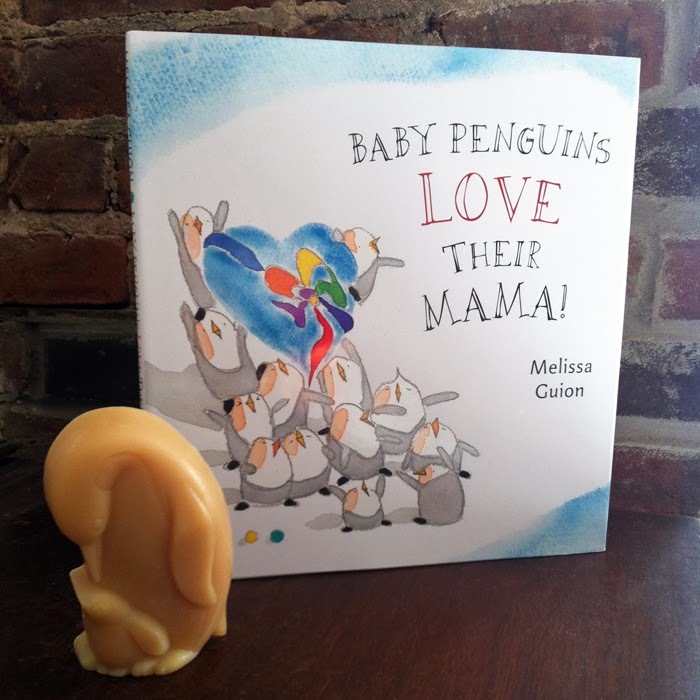 Melissa Guion offers another adorable book for sharing between mother and child. A perfect Valentine's Day, Mother's Day—or any day—gift for the person who is always there for us. 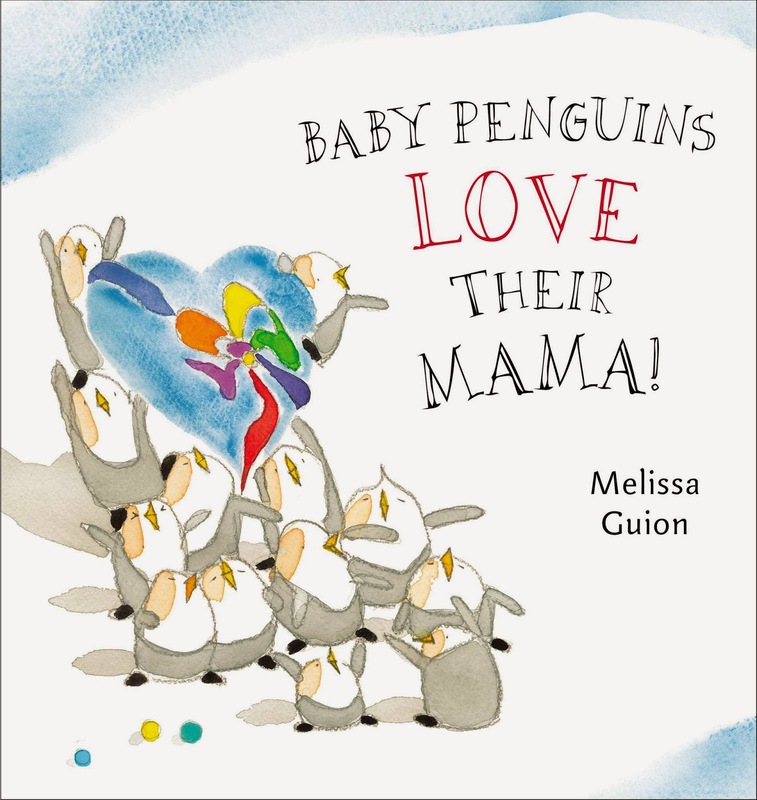 Melissa Guion's first picture book, Baby Penguins Everywhere!, was selected for The Original Art 2012, an exhibition of the year's best illustrated children's books. Melissa swears she could draw baby penguins all day, but she may take a hiatus to do a book about her daughter's guinea pigs. She lives with her family in Brooklyn, New York. 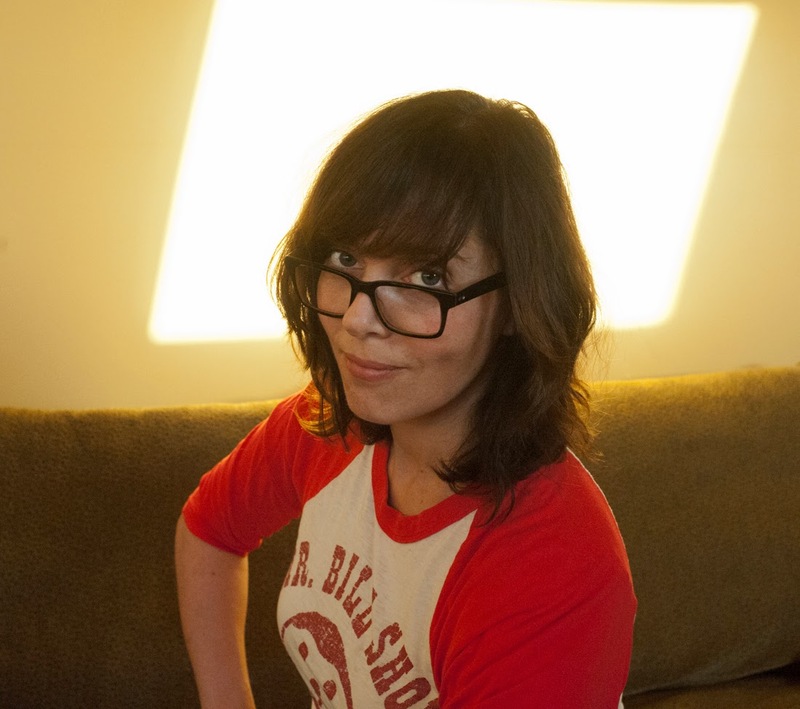 For more information, visit her website: http://www.melissaguion.com/. What’s the ‘story behind the story’? Hmmm, the story behind the story. I can tell you something funny. After my first big NY library reading of BABY PENGUINS EVERYWHERE, which went pretty well, a senior librarian said to me, “and to think it was FOUND ON THE SLUSH PILE!” I thought he was making a joke about, I don’t know, snow. There’s a lot of snow in the book. But he insisted, no, he heard the manuscript was discovered in the slush pile at my publisher. I’m sorry to disillusion anyone who heard this rumor, but the book is not a million-to-one slush-pile success story. It was sold in a fairly normal way to the publisher after my agent set up a meeting with my now-editor, Michael Green, of Philomel. Perhaps someday I will have a slush pile story to share, though. Don’t count me out! What do you enjoy/hate most about writing/illustrating picture books? The thing I enjoy most is simple. Getting to do what I love for a living, getting to invent things for a living. What do I hate? Sitting down all the time. Which author/illustrator would you most like to meet? In the last year I’ve been lucky to meet many, many amazing author/illustrators, so my list is shrinking. I’d still really like to meet Tom Ungerer. I worry that it would be hard to connect with him, but it would be worth it, if we were actually able to talk. I’d also love to meet Alice Provensen. I’d ask her all about her life and work. Who knows, maybe she’s also terrifying. Where in the world would you most love to travel if you could? Antarctica is the place I want to travel that seems most outside the realm of possibility. Every year the National Science Foundation gives a grant to one writer or artist to travel there, and live and work at one of the base stations. I fantasize about winning that some day. Total pipe dream. That’s where I’d go. Is there ever any way to fully thank our mothers for all they do? The good ones anyway! This book beautifully celebrates all that mothers do to help their children reach their full potential. Mama penguin has many babies and she spends her week training them to swim, slide, waddle, preen, fish, and squawk followed by a weekend to recover. A sweet discussion at the end of the week reminds us all that mothering is a job that never ends yet has the sweetest of rewards. A perfect book to share for Mother's Day or any day of the year between a mother and her children. Loved this one and plan to share it with all the mothers I know. Adorable illustrations and a simple story make this especially appropriate for preschoolers. 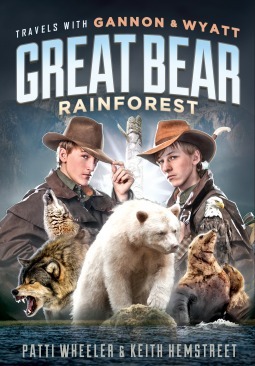 Gannon and Wyatt can't wait to trek into the Great Bear Rainforest in search of the mythical spirit bear, but surviving in this unforgiving wilderness proves more challenging than they could have ever imagined. When members of the expedition go missing, the brothers bravely set out on a search-and-rescue mission. Soon they find themselves lost in a forest teeming with grizzlies, wolves and mysterious gunmen. Guided by the wisdom of the First Nation people, the Gannon and Wyatt uncover a sinister plot and must risk everything to save those who are missing and restore balance to the Great Bear. You can find Gannon and Wyatt s blog, photographs, and video footage from their real-life expeditions at travelswithgannonandwyatt.com. I absolutely adore this series! Not only are there fabulous characters (based on a real set of twins who travel the world) but the gorgeous settings and adventures that Gannon and Wyatt face are fascinating. My love of wild places and discovery is obviously speaking here, but really the book is well done with enough details to give the reader a strong sense of place, but the adventure of searching for missing people in an unknown setting where help is not readily available was great. Gannon and Wyatt are twin brothers who love to explore wild places, but they have very different personalities. Gannon is the more impulsive of the two who makes it clear that he hates doing chores whether at home or on board ship. Wyatt is a budding scientist who looks at things very logically which causes problems when he runs into things in the Great Bear Rainforest that don't have a simple or even logical explanation. I loved the setting and especially the photographs that are included that match the text perfectly. One of my pet peeves is when photos don't match the text they are matched up with, that isn't a problem here. They make the story seem all the more believable and real. I seriously wanted to jump into the book and visit the Great Bear Rainforest as I read this. A great story for those like me who would love to visit such places but are unable to, those who enjoy being armchair adventurers. The website is also great because it has videos as well as more information about the real Gannon and Wyatt. Another fun adventure with Gannon and Wyatt, the twin brothers who travel the world. 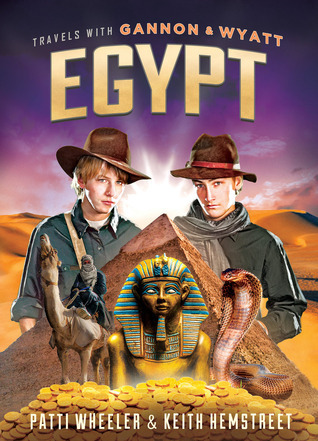 In this one, the brothers head to Egypt to participate in a search for the burial place of Cleopatra, the famous Egyptian Pharaoh. But along the way the learn a lot about Egypt and the frustrations and dangers of archaeology. Sandstorms, earthquakes, and tomb robbers all interfere with the brother's plans. Once again I thoroughly enjoyed the details about another place and way of life. The archaeology details were fascinating as well. With plenty of conflict and adventure the book works great for reluctant readers. The only quibble I had with the book was minor. The idea that Cleopatra's tomb could be found right when the brothers just happened to be there after others have spent decades looking was a bit unbelievable, as well as all the disasters that hit the group. But that's a minor quibble considering the book is fiction. Overall a fun read with plenty of action and adventure. 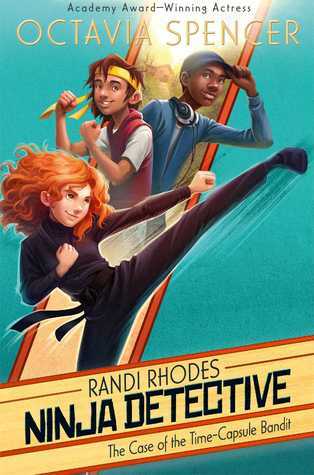 Meet Randi Rhodes, the world's first ninja detective! Mystery abounds in this delightful new middle grade series from Academy Award-winning actress Octavia Spencer. They have three days to find the treasure; the future of their whole town is at stake! Will these kids be able to save the day? Randi reluctantly moves to Deer Creek from New York with her father a year after her mother's death. She resents leaving her home and the neighborhood where she has anonymously solved 32 cases. Deer Creek seems boring at first until the time capsule buried 200 years earlier that the town plans to open for anniversay celebration goes missing. Randi jumps at the chance to use her detective skills to find it. Despite the interference of her father and the new housekeeper that Randi resents, she manages to not only investigate but make a new friend in D.C., a fellow martial arts aficionado. But can they find the time capsule in time to save the town? Or will there first case end in failure with D.C. and his mom losing their home? I thoroughly enjoyed this fun mystery. While not completely believable, it was interesting with fun characters, a mystery with plenty of twists and turns, and some great martial arts action at the end. I liked reading about a female main character who is confident in her own skills and growing independence. The conflict between Randi and her father felt real and believable. I appreciated that Randi and her friends had to face the consequences for some foolish decisions they make. The inclusion of actual detective tasks for the reader to try was also a fun touch and made Randi's actions more realistic than a lot of detective stories that I have read for this age group. 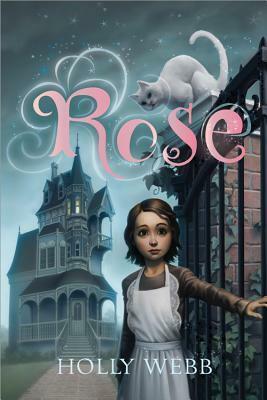 Since mysteries are always popular this one is sure to be read by many middle grade readers. The grand residence of the famous alchemist, Mr Fountain, is a world away from the dark orphanage Rose has left behind. For the house is positively overflowing with sparkling magic—she can feel it. And it’s not long before Rose realises that maybe, just maybe, she has a little bit of magic in her, too. . . . When Rose discovers that she may have magical capabilities she's quite unhappy about it. All she wants is to have a position where she can take care of herself and enjoy a little free time. But when she's taken away from the orphanage where she's spent her whole life and ends up in the house of a fully trained magician, she finds herself struggling to hide her growing abilities. The other servants don't appreciate or like the magical aspects of the house and Rose is determined not to stand out, but with talking cats, annoying apprentices, and disappearing children, she discovers that she needs her abilities whether she wants them or not. I found myself quickly growing fond of Rose as a character. She's tough and resourceful, but also sensitive and feisty at times. I certainly sympathized with her desire not to stand out. With her background in an orphanage, she's been taught to blend in and magical abilities don't in any way help her blend in. At the same time she's rather fascinated by the new things she's running into and she wants to help when she discovers that one of her friends from the orphanage has disappeared. A thoroughly enjoyable, quick moving fantasy well suited to the middle grade fantasy lover. Two Great New Picture Books! Clark the Shark is one of my new favorite characters. His intentions are good but he doesn't always understand what is expected of him. A lot of books that are intended to teach a less preach too much and it bogs down the story. That is not a problem with Clark the Shark. 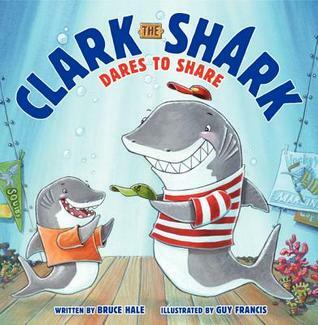 In this book, Clark the Shark is asked to share appropriately but he struggles to understand exactly what that means. With the help of his friends, teacher, and family Clark begins to understand what sharing truly means, especially when it comes from the heart. Lots of heart and humor as well as delightfully appropriate illustrations make this a book well worth sharing over and over again. Highly recommended. This simple story works on so many levels: as the tale of a bear who finds his way home with the help of his animal friends; as a reassuring way to show children how to comfort themselves and find their way in everyday life; and on a more philosophical level, as a method of teaching readers that by listening to your heart and trusting yourself, you will always find a true home within yourself--and that even when it feels like you are alone, you never really are. 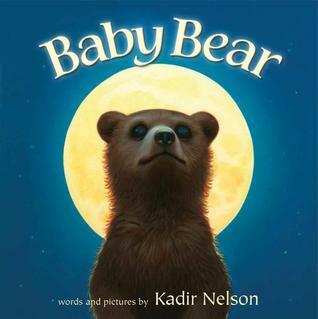 The minute I see the name "Kadir Nelson" I have to buy the book. I love his artwork and his books are inevitably wonderful. This one is no different. The story follows a young bear who is lost as he seeks to find his way home. He receives advice from the other animals he meets along the way, each seeking to help him in their own way. From the cougar who tells him to "remember how you got here" to the ram who tells him to sing a song, Baby Bear searches for the way home. A beautiful look at the journey that we all take through life searching for a place to call home and those we meet along the way to help guide us there. A sweet story that can be looked at from many levels of understanding with much that can be discussed and enjoyed. The illustrations are vintage Nelson from the sweet-eyed bear to the grinning salmon and the end pages which depict a night scene giving way to dawn. I think my favorite illustration though is the one with Baby Bear hugging the tree and thinking of home. 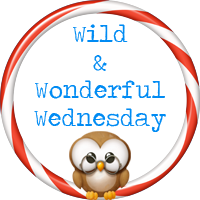 Be sure to check out other great books on the Kid Lit Blog Hop! CYBILS Middle Grade Fiction Finalists!